Klayman: Coalition of the Left Comprising Radical Democrats, Muslims, Radical Blacks, Jewish Left, Radical Feminists, Anti-Christians, Anti-Semites and Atheists Want to Destroy Israel! We Must Defeat Them! 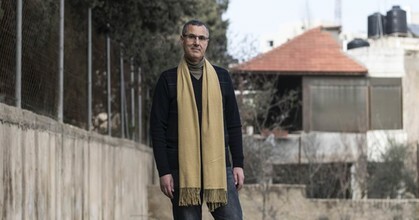 JERUSALEM — Gil Sima doesn't support Israel's occupation of the West Bank. But that hasn't stopped filmmakers from dropping out of his Tel Aviv International LGBT Film Festival to protest the country's policies toward Palestinians. "We are a very human-rights-oriented film festival. Here in Israel, they think we're left-wing queer weirdos," Sima, its executive director, said. "But outside, it's the same: 'You're from Israel, you're right-wing, you're an occupier.'"